Stepping even further back in time, we continue to take a look at a few of MEGA Blok's older release Halo sets, this time from waaaay back in 2011. The ODST Ambush set features two micro action figures and a chunk of terrain, so we got building and here's what we thought. Attack! 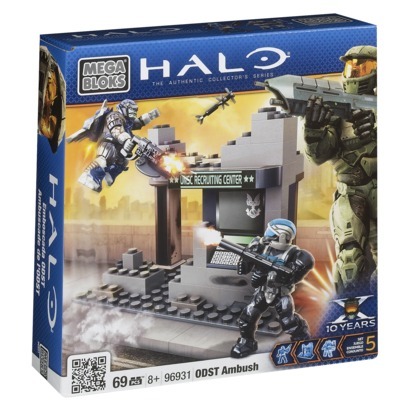 ODST Ambush comes with just 69 pieces making it the smallest MEGA Bloks Halo set we've ever reviewed. 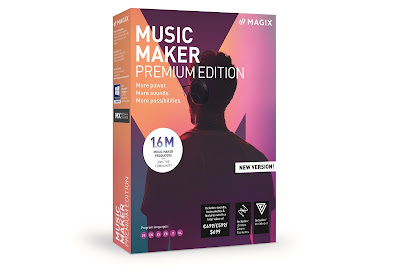 Although no longer produced by MEGA, this is one of those sets that is still out there to buy and actually quite popular. Due to its size and age, we were able to pick it up on Ebay for just a few pounds, so if you're after itself, you should be fine. 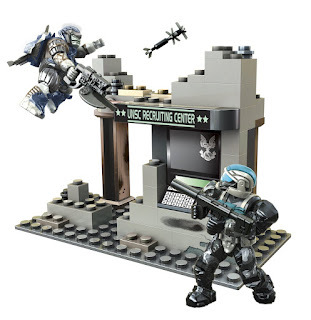 Included is a Covenant Jump Pack Brute, an ODST Urban Specialist, and a multi-faceted piece of terrain. To begin with we were most drawn to the terrain, which depicts a ruined UNSC Recruitment Centre (but actually looks a lot like an ATM) as it is done incredibly well. If you're after some interesting terrain pieces, this is your set. There are two nice bronze girder parts to the rear, as well as many small bricks that feature a rust-like swirl throughout the plastic. The computer screen and panel are large stickers, and unfortunately the keyboard sticker does go over two separate parts - something that MEGA Bloks used to do.. The top section is mostly one large piece with holes running along the sides. Bronze-coloured stick parts side into the holes to create the appearance of an exposed steel frame within the shattered concrete. Looks good. This is our first ever Brute figure, and we really like him. Thick and bulky (just like in the games), the Brute comes armed with a Spiker gun and a Spike Grenade. There is a great level of detail on him, with some really intricate paintwork on the arms and face. The Jump Pack adds yet more bulk, and because it attaches via the figure's back hole (tee hee) it could also be used for other characters as well. And, as you saw above, he does indeed fly. To hold the Brute aloft you get a grey base plate, a transparent clip part, and also a transparent rod that fits directly into a hole in the bottom of the jump pack. This means you can give the figure quite a decent amount of angle, allowing him to appear like he's just taken off. If you prefer to play with, or display, the figure on his feet, no bother - you're left over with some nice parts. The ODST Urban Specialist also has a great paint job, and comes armed with a suppressed SMG. Yes, this is the older type of figure that doesn't have the incredible level of articulation of the 2014-onward figures, but we still rather like him. The paint job on this almost (almost) makes us miss this kind of Halo figure, as the modern kind, with their interchangeable armour system, tend not to have many painted details. Granted, the shape of the newer type is much better, but still this guy does look very nice indeed. See, looks like an ATM. The ODST was only trying to get some cash out, when the bloody Brute swept in and attacked him. "Gimme your PIN number!" What a nuisance! Yes, this is an old set, but because of the current asking price on most websites this is a great value for both figures and parts. Check it out.